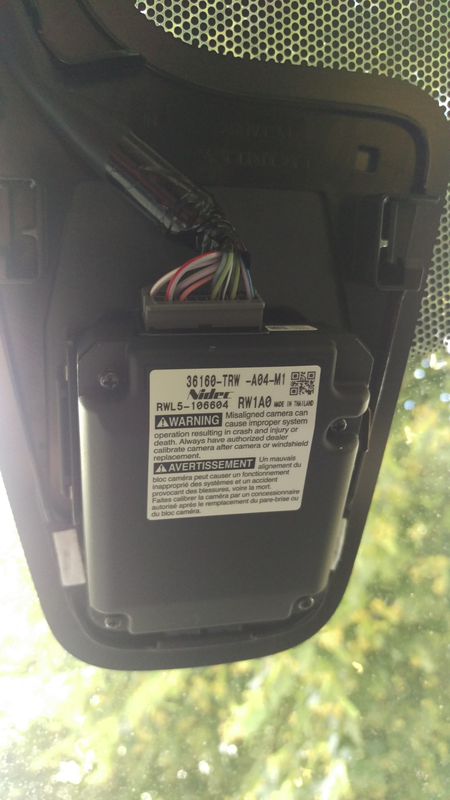 In order to figure out which comma.ai giraffe connector the Honda Clarity had, I removed the camera cover. Removing the camera cover is not intuitive. Here’s a diagram of how to remove it. 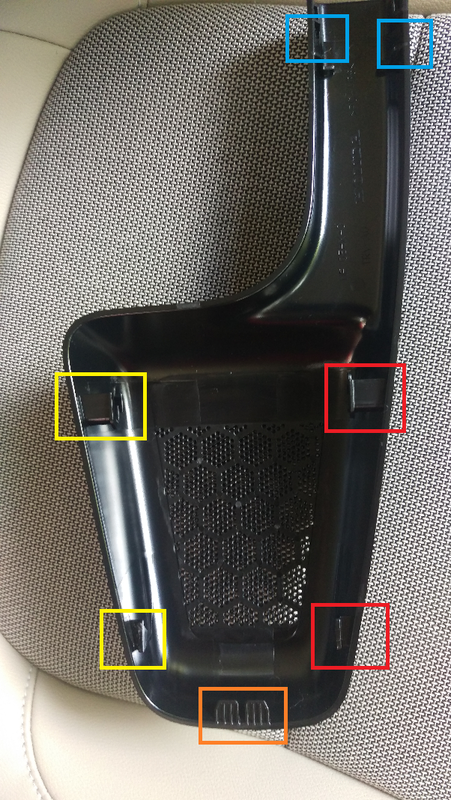 Pry the cover of the driver side until it pops free from the clips. Don’t use too much force. The adhesive may peel away from the mounting bracket if you do. Pry the top (closest to the roof) part of the cover until it pops free. Pry the passenger side of the cover until it pops free. Push the cover forward (towards the front bumper) to un-clip the cover completely.